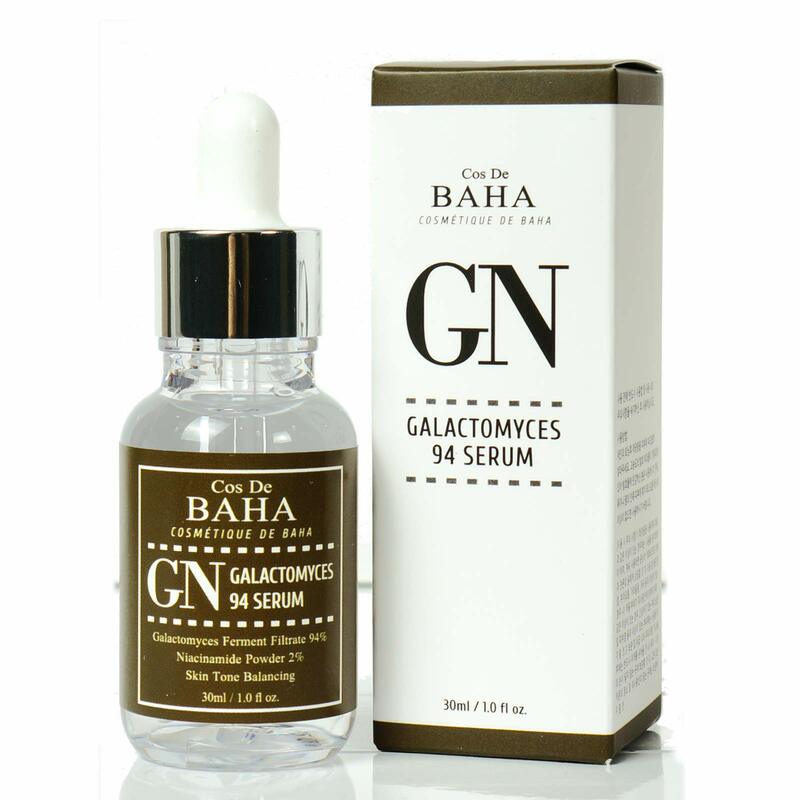 OUR GALATOMYCES KOREAN SERUM IS USED AS A MOISTURIZING AGENT AND HAS ANTIOXIDANT EFFECTS. It improves the skin’s moisture barrier, helping to protect the skin from environmental stress. GALATOMYCES SHOWED A DECREASE IN THE NUMBER OF BLACKHEADS, and the amount of sebum and keratin in the face was improved. They further demonstrated that the levels of skin brightness were improved after treatment. Furthermore, the number of comedones were decreased. 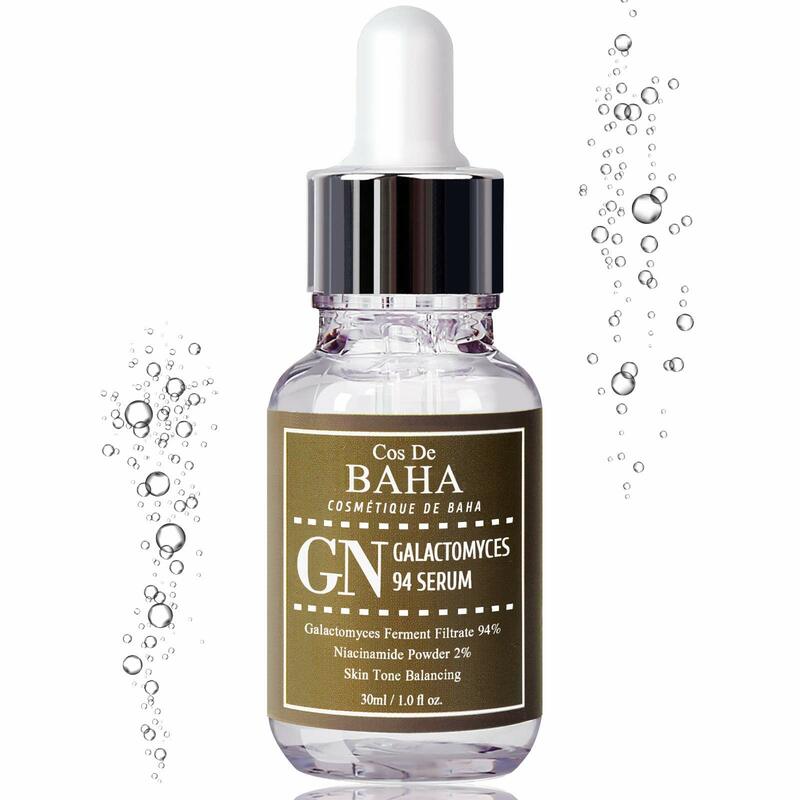 OUR GALATOMYCES ESSENSE SERUM BOASTS NIACINAMIDE AND HYALURONIC ACID to smooth away wrinkles and improve elasticity for a stunningly youthful glow. If for any reason you decide later that it’s not for you, just let Cos De BAHA know within 30 days of purchase and they will refund 100% of your money back. 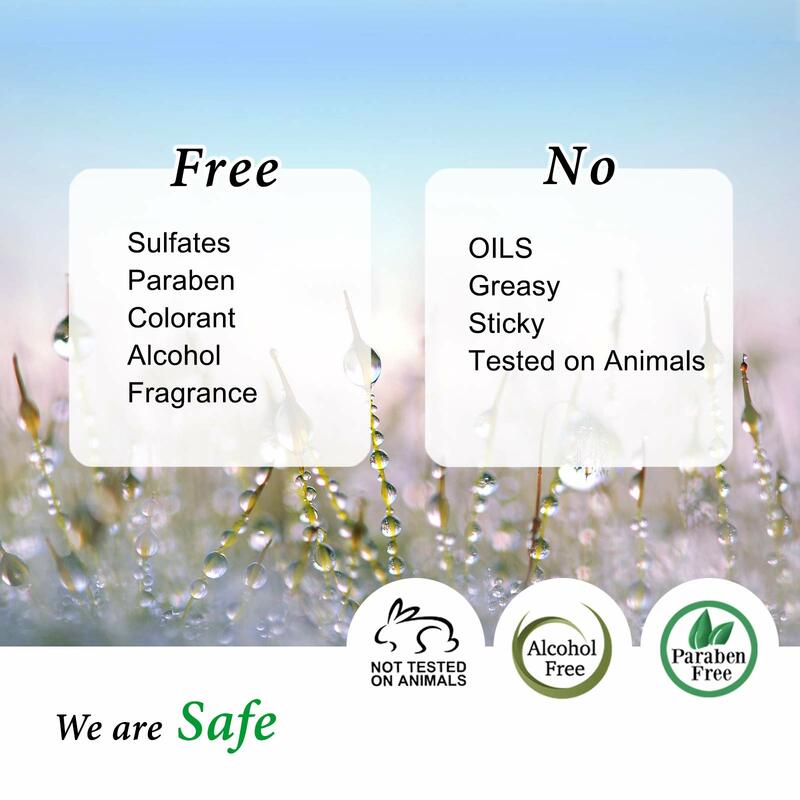 Please note that all serums can sometimes create irritations for people with very sensitive skin or uncommon allergies. Always test the product on a small area before using it, ideally behind an ear or under the chin. 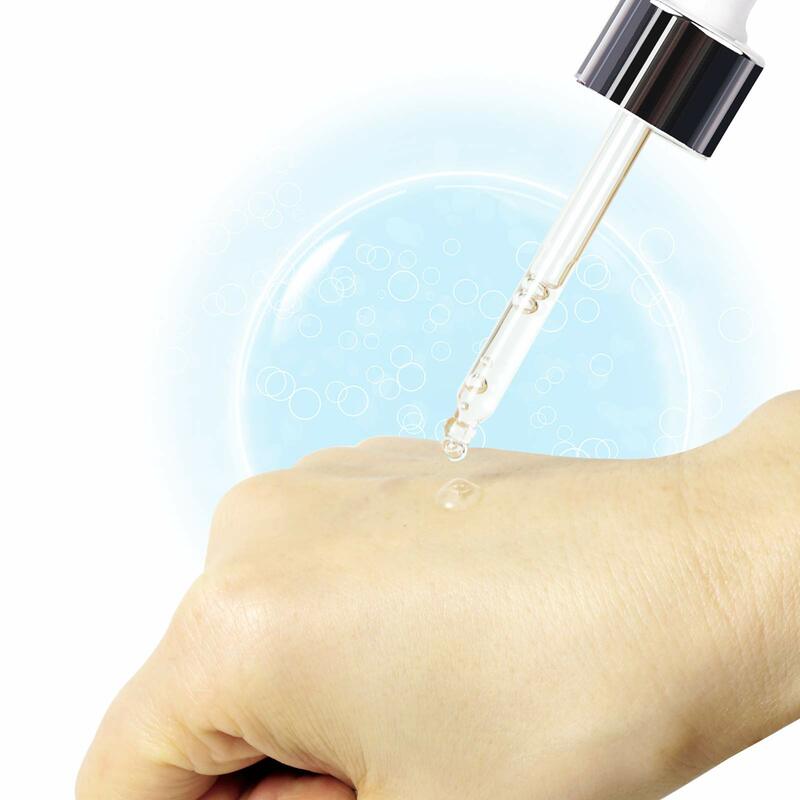 Allow 24 hours to measure skin sensitivity to the product. BE SURE TO APPLY SUNSCREEN DURING DAYLIGHT HOURS. 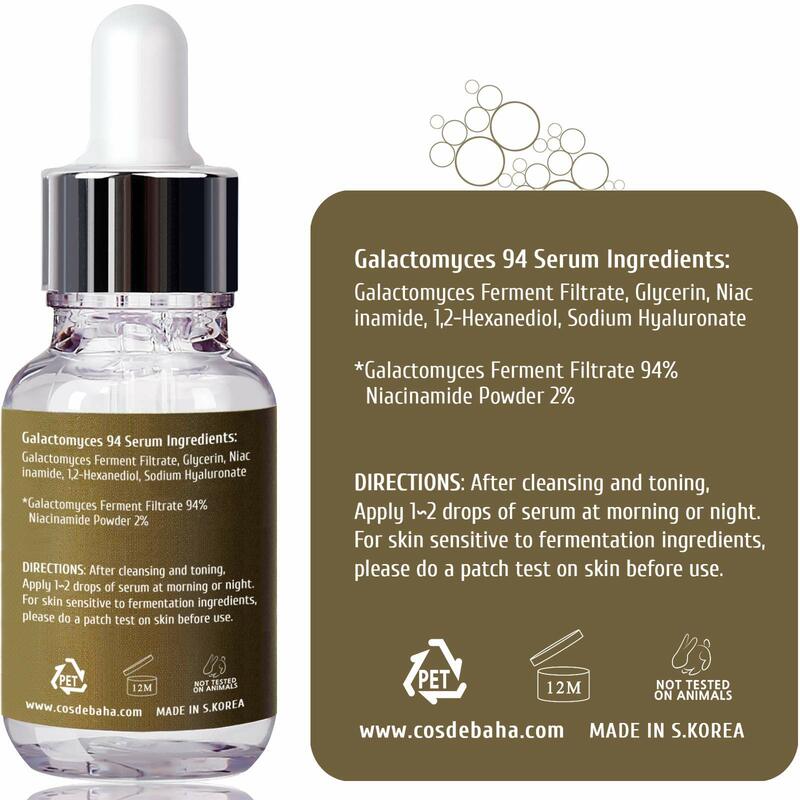 Galatomyces Cream Serum is a raw material used in SK ii facial treatment essencea and is one of the most widely used raw materials in Korea. THE BEST KOREAN SKIN CARE AT THE LOWEST PRICE – You will be hard-set to find the high quality ingredients in our products for even close to our price. We believe fantastic skin-care should be available to anyone, and it is our mission to ensure that you get both top-notch quality products, but also the best customer care available. 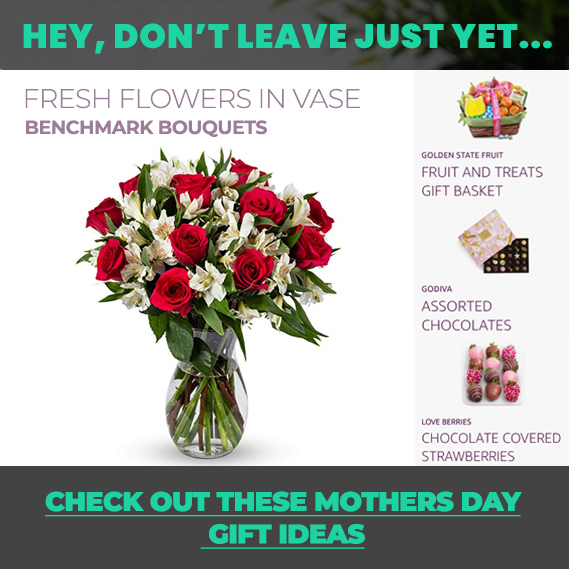 Contact us anytime through Amazon for assistance.